ICELAND. Eskifjörður. 2007. 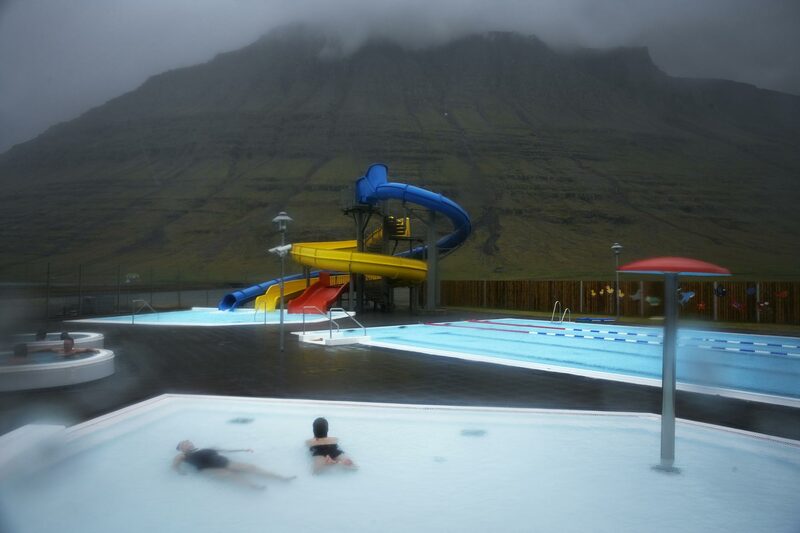 People relaxing in the hot waters of an outdoor swimming pool in Eskifjörður, one of the two towns adjacent to the Alcoa Fjardaal smelter. The towns in this area have been economically depressed for years, particularly with the decline of smallboat fisheries. Locals complain of declining populations and a bleak future.